Bees are flying insects closely related to wasps and ants, and are known for their role in pollination and for producing honey and beeswax. 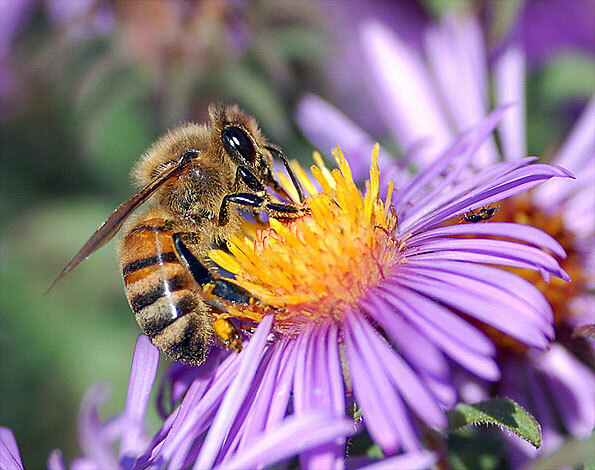 Honey bees and bumblebees feed on nectar and gather pollen to feed their young. Compare this to wasps, which are predators that feed on other insects, paralyze the insects with their sting, and bring the prey to their nests to feed their larvae.